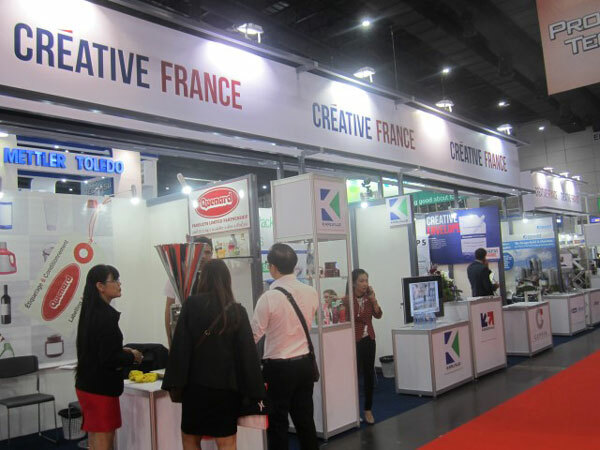 Business France will be running a French Pavilion at PROPAK Asia 2018, the 26th International Processing and Packaging Technology Event for Asia. This event provides a not-to-be-missed annual meeting for the professionals of the Processing and Packaging industry. In this promising industry, Franceoccupies a prominent position, being the world’s fifth-largest exporter (export value was €664 Million in 2017). French companies are particularly well known for their high standard quality service and their use of new technologies and innovations, which correspond to the current Thai market expectations. For the occasion, Business France will be running a French Pavilion with 15 French Companies specialized in the Processing and Packaging industry. They will bring their expertise from different areas, such as service provider, machine manufacturer and industrial integrator. One of French technical innovation includes mechanical and thermodynamic systems, offered by HYDROLOCK. The company is a world specialist in the field of “in container” sterilization. They manufacture continuous sterilizers for various type of food – canned vegetable, milk and beverage, ready-to-eat meals, etc. Client reference for Thai market: the company installed a continuous sterilizer at a factory to treat canned conned in Chiang Mai in 2017. Not only the machines that French players can offer. We have this year in French Pavilion the company SOCAPS, a global provider of technical services to industries. With their 610 technicians and local teams based in more than 40 countries worldwide, SOCPAS designs, builds, installs and provides maintenance of industrial equipment whether in food & beverage industries or healthcare, energy and aeronautics fields. In our Pavilion, the visitors will also discover solutions dedicated to water management for food and beverage industry by I.C.E. Water Management, one of the specialists in the field, having already world-renowned clients like Pepsi Cola and Coca Cola. Or, KARLVILLE, with more than 20 years in the market, provides sustainable vertically integrated machinery solutions for shrink sleeves, flexible packaging, pouches and tape multipacks. If you would like more information about French Pavilion in PROPAK Asia 2018, please do not hesitate to contact us, Business France, the Trade Commission of the French Embassy in Thailand.